The time of the Mobile Wallet has arrived, but what does this mean to you and your customers? How can you take advantage of this functionality? What are the possibilities? Ok, so a mobile wallet is not really a new functionality… It has been around for a while, but it is becoming more prominent. The mobile wallet is built-in to a lot of smartphones and smartwatches. It is an app within your device, which holds vouchers/membership cards and credit card information. It can also be downloaded on devices which do not have it pre-installed (think of Google Wallet etc.) 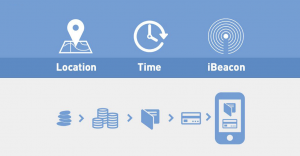 This is what the mobile wallet means to the end user, but to the marketer it is so much more. As a marketer, we are always looking for the best way to be relevant and effective in our marketing. The mobile wallet has now given us that opportunity. Using a “pass” (voucher, membership card etc. 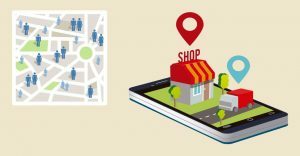 ), which is installed by the customer, we can now target them with deals that are targeted on location, time, iBeacons and can even communicate in the users preferred language by reading the phone settings. The arrival of the Apple Watch along with other products like iOS9 and Apple Pay has really given a boost to the mobile wallet. This will allow customers to use their passes without taking their telephone out of their pocket. 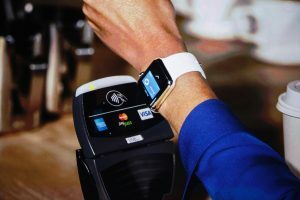 Apple Pay will even allow users to pay with their Watch or phone, using their fingerprint as a security lock. As mentioned before, mobile wallet is not an Apple hype or an Apple product. In fact, Google Wallet was released back in May 2011 and Apple’s Passbook didn’t arrive until September 2012. That being said, Apple has done a good job in rebranding their Passbook app into Wallet and allowing users to add a credit card for Apple Pay to use for contactless payments. Android is also coming to the market with Android pay, so you better believe that the mobile wallet is here to stay! Like I mentioned before, using the mobile wallet allows us to create and update content on the users’ device. This content can then be triggered by location, time and/or iBeacon. One of the best functionalities that can be used, is push messaging. Think of the customer who has received your voucher in the post or in their email and have printed it out. They arrive at your retail location, only to realize that they have left the voucher on their kitchen table (frustrating!). How many times I have stood behind someone in the queue at a shop and they were asked for their membership card… Ohhhh, I don’t have it with me is the reply. Ask that same person: ”do you have your mobile phone with you?” 99.9% will say yes. By adding these cards, it is improving the customer satisfaction level and allowing you to reach the customer easily. Last example: think of the customer who has been in your shop, bought something and arrived home only to realize that they had a voucher/coupon in their possession which they had forgotten about. Using location based push messages gives this user a reminder when they are in the store, so they cannot forget. Next steps for the mobile wallet? So what’s next for the mobile wallet? Chain passes. To simplify this – a chain pass is a way of changing the voucher completely (design and information) depending on different information. If a user has used the pass, you can change it to a complementary product or follow a customer through their journey, improving it on every step of the way. Train tickets which transform into a coffee voucher if the train is delayed, plane tickets which transform into a car hire voucher once the user has landed. The possibilities are endless. So the mobile wallet is here to stay? Yes, I believe it is. The reason for this is the ease of use, the flexibility and the fact that huge companies such as Apple and Android are pushing their own mobile payment systems now. The users’ life will be made much easier when they keep things in their mobile wallet, and with this digital generation, I believe they will. PreviousPrevious post:Hey, thats a nice email you’re wearing!NextNext post:Hello world!